Re: the Robusto - looks like the price for a single, and not in USD - I have never seen a genuine Cuban Cohibo Robusto fur a tenner, anywhere! I shall investigate further Chris. If they really are ten quid apiece - get on the blower!! 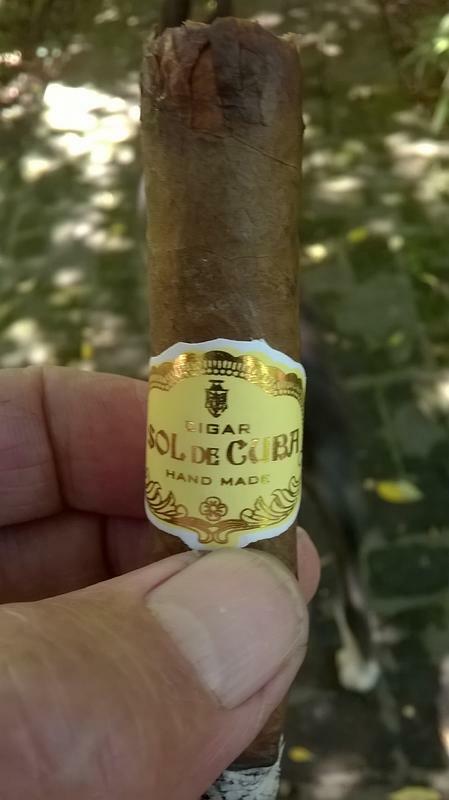 Next time I'm in Buenos Aires I'll visit a couple of reputable tobacconists and find out what's going on...a few do sell their cigars through Mercado Libre so I'd put my money on them being genuine Cohibas. One reason for the price gap could be that Argentina doesn't tax Cuban cigars. Current UK price for a single orthodox Cohiba Robusto is £26.49. So a tenner isn't that hard to believe. A packet of good quality fags here costs less than £2. Unfortunately for me imported pipe tobacco doesn't come cheap. Having an El Rey Del Mundo Exclusivo España from 2015. One of the best Cuban cigar I’ve had in a while! A cigar newbie here who hasn't a clue about the subject. This Argentinian produced one cost me next to nothing so I didn't expect a lot from it. After a none too great first impression when I lit it up yesterday it's tasting much better today....maybe that's the secret to getting the most from it? The very tight draw is challenging but enjoying it nonetheless. No idea what it's contents are I'm afraid...floor sweepings probably given the price. Nub, in the best Connecticut wrapper that I've found in recent years.